Vancouver gala night events photographer Jozef Povazan - Best Vancouver wedding photographer Jozef Povazan Photography studio. 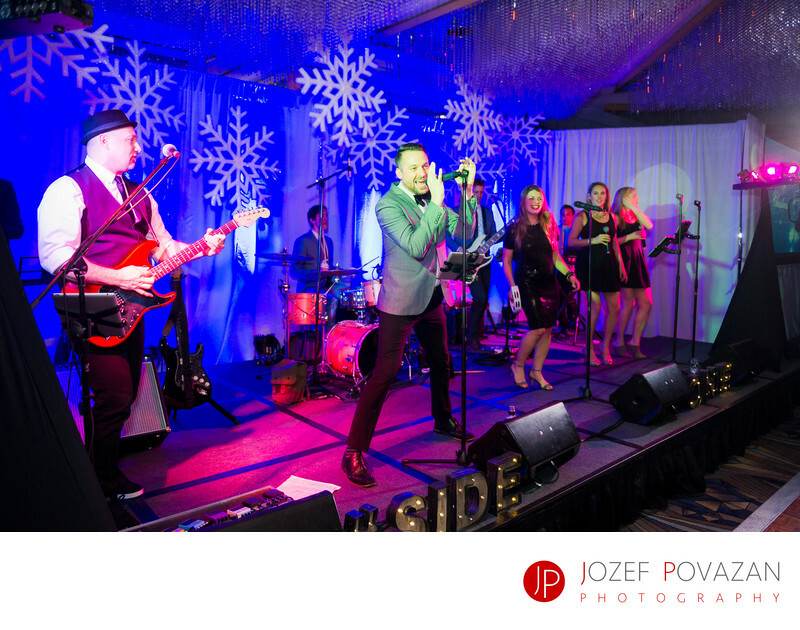 Gala nights events photographed by Vancouver photographer Jozef Povazan. Celebrations, awards nights, company Xmas parties, New Year celebrations, all these have in common great atmosphere, ladies wearing evening dresses and gentleman classic tux. Vancouver downtown offers many amazing hotel ballrooms where events like these can be organized with such a variety and complexity and none of them need to look the same. At this Pan Pacific dinner gala evening the Side One band life music was the tipping point for great party start, and dancing had no end that night. If you are planning your next company event in Vancouver venue, feel free to reach out to learn more about our special events photography packages with studio portrait set ups and on going fun experience. CONTACTus for more info about our New Year special for new local businesses. Location: Pan Pacific hotel, Vancouver, BC. Keywords: corporate event photographer (3), Event photographers (3), Vancouver event photography (6), Vancouver gala night (3).